The only way to get a visual brand that serves your business well is to start by knowing your business well. I don’t just mean how it runs, or the products or services you offer (though those are factors, too). I mean knowing what makes it tick, knowing what it stands for. Knowing where you want it to go and the people you want it to attract. Where it stands in the market, and what makes it stand out. Branding Brainstorm is a questionnaire I’ve compiled to help you clarify all those kinds of intangibles. These are the same questions I walk my clients through before doing any identity or logo design work. I do tailor or add to it a bit with each client’s specifics, but this version works for virtually any kind of business. It will take some hard thinking and work on your part, though, so be ready to dig deep. These are the kinds of questions and details that will help shape a direction and voice for your branding, before it ever gets to the design or writing stage. It covers a business’ Who, What, Why, and How to help ferret out your unique angle. Knowing this will help all of your design & marketing efforts! It’s straightforward. It’s printable. And it’s free, whether you end up hiring me as your designer or not. Get ready to dive deep into your core brand and uncover the details that make your business unique. 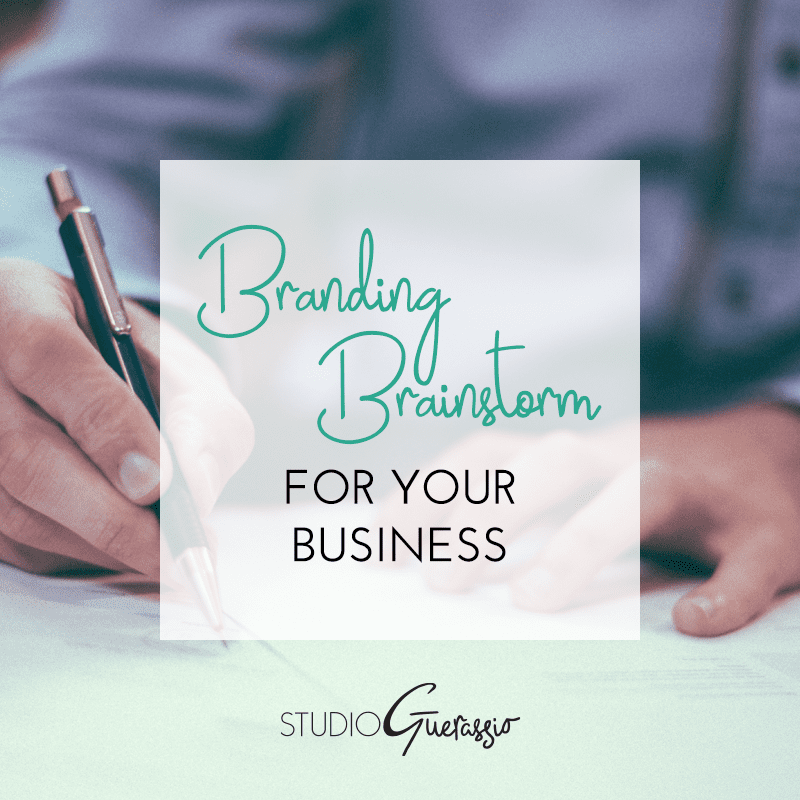 Simply enter your email below to get your free PDF download of Branding Brainstorm. Have you tried out the worksheet? I’d love to hear how it went!